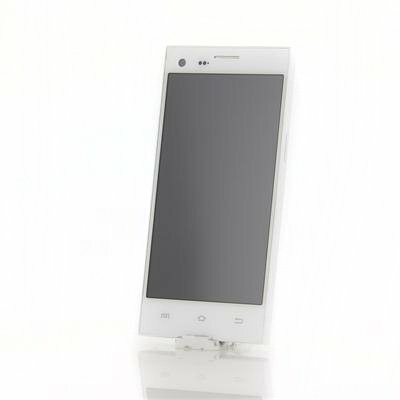 Successfully Added thl T11 Smartphone - 5 Inch 720p Screen, MTK6592 True Octa-Core 1.7GHz CPU, 2GB RAM, 16GB ROM, Android 4.2 OS, NFC, OTG (White) to your Shopping Cart. 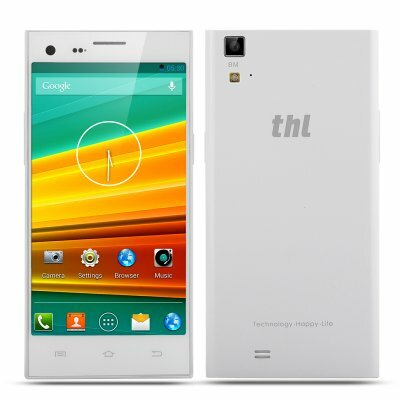 Thl T11 True Octa-Core Smartphone features a 5 Inch 1280x720 Screen, MTK6592 1.7GHz CPU, 2GB RAM, 16GB ROM and an Android 4.2 Operating System as well as other useful and practical features. The T11 is a true masculine powerhouse octa core phone that top Chinese Android phone specialists ThL have designed. As soon as you are expose to the ThL, you will notice that the design is less feminine and more macho as it has straighter and squarer corners. Now this ThL implements a true octa core processor meaning that all eight cores operate independently to deliver an outstanding performance with exceptional energy efficiency. With all this power, the Thl T11 runs Android 4.2 Jelly Bean smoothly and effectively as it is one of the most user-friendly but advance operating systems available today. Really bring this mobile phone to life by accessing the Google Play store to download and install apps and games for a more customizable feel. What attracts most people’s eye is the stunning HD Corning Gorilla Glass 3 screen that the Thl T11 phone has. The 5 inch display has a 1280x720p resolution, which can bring you vibrant and fresh colors. Furthermore, you will have total control over this phone as it has a 10 point capacitive touch screen making it great for navigating, swiping and zooming. NFC is present on this mobile phone and proves to be a practical function and convenient tool if you want to transfer a file or data to another user that has a NFC compatible phone, the process is straight forward and can be performed by simply bringing the devices into proximity with each other, usually no more than a few centimeters. Take photos with one of the Thl T11 phone’s cameras as it has both a 5 megapixel front-facing camera and a 8 megapixel rear camera. When it comes to video watching or listening to music as you travel to and from work, the Thl T11 has a large 16GB storage space to save all your contents like applications, plus you can expand the memory by inserting a micro SD card into the phone’s built-in slot. OTG is another feature that this phone offers, so by using the appropriate cable you can connect your external USB flash drive to do fast file transfer or connect a mouse for more navigation control.